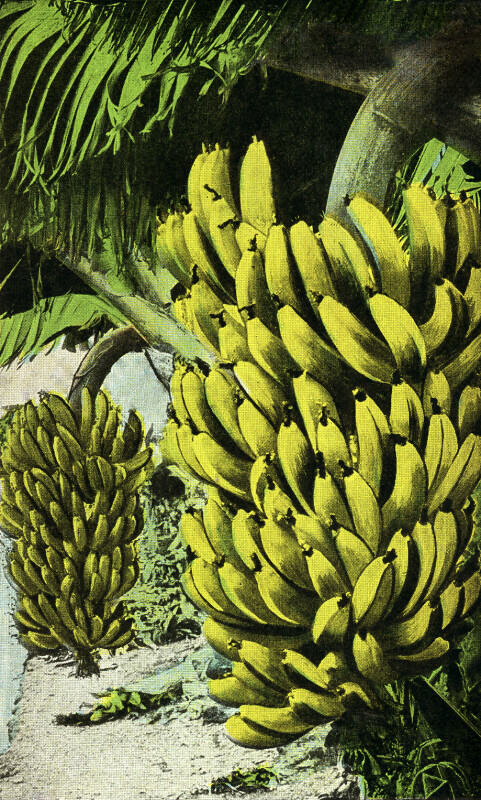 Two full bunches of bananas are shown on this postcard. The bananas are still on the tree. In the bottom left corner, some bare ground can be seen.